Public school districts across California, particularly those in low-wealth areas, experience significant funding shortfalls for their facilities. 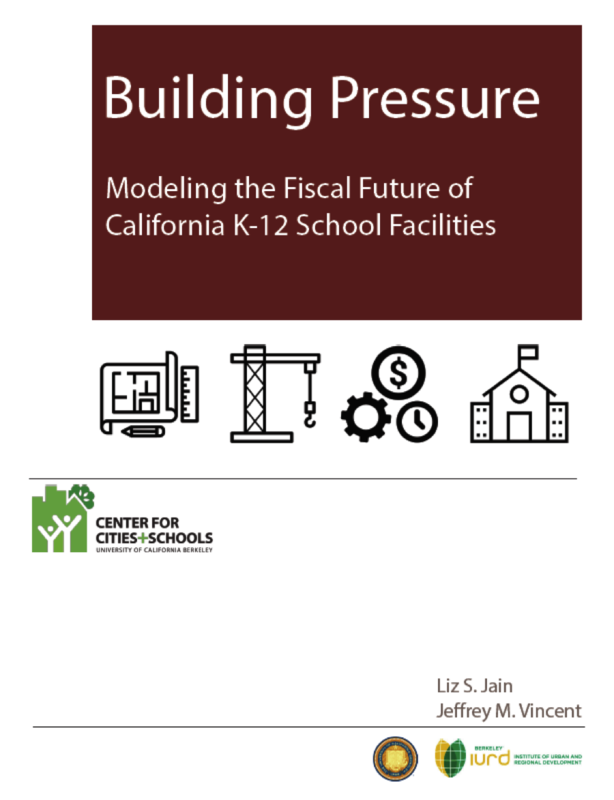 Amidst this trend of widespread underinvestment in California’s K-12 public school facilities, state funds to aid school districts in facility construction and modernization projects are depleted. Whether the 2016 statewide ballot measure (Proposition 51) passes or fails, state lawmakers are likely to face continued pressures to meet the vast infrastructure needs of public K-12 facilities. With this study, we aim to inform voters and to provide broad guidance for policymakers regarding the relative merits of various long-term state funding approaches for public school facilities. 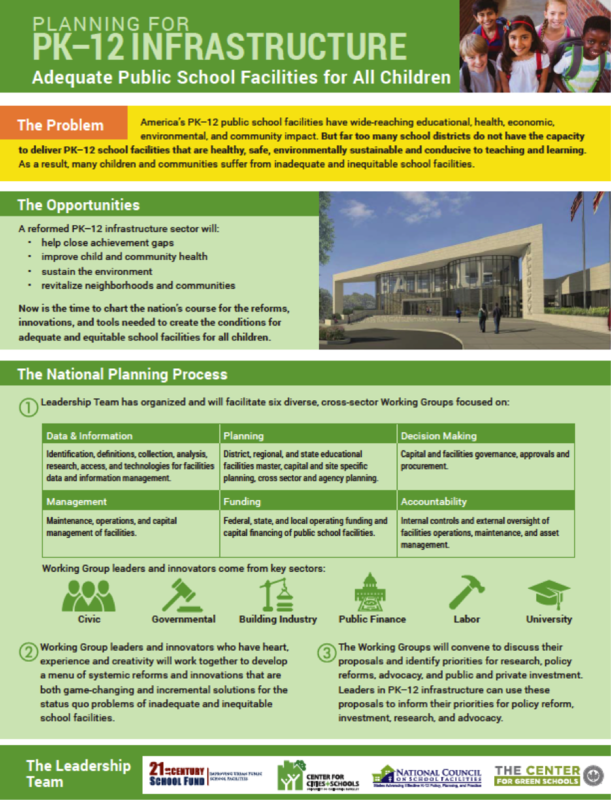 Based on California’s historical experience, the scale of current needs for K-12 infrastructure investment, and examples from other states, we identify four policy scenarios applicable in the Golden State’s current political climate (Scenario 1: No State Support; Scenario 2: State Competitive Grant Matching Program; Scenario 3: Small State Role Targeted to High-Need Districts; and Scenario 4:Equity-Focused State Grant Formula). We then estimate available facility funding for each K-12 school district under each scenario. Our findings suggest that California needs a principled, long-term program for public school facilities funding that promotes adequacy, equity and affordability. State Interest #1.That children in the state attend public school facilities that adequately support the education program. State Interest #2.To protect and/or advance the health of, safety of, and environmental quality for children and/or communities. State Interest #3.That there are not gross facility disparities across the state that would disproportionately undermine the achievement of specific groups of students. State Interest #4.That school districts design, build, and operate cost effective and efficient school facilities. States should maximize availability of facilities planning and design technical assistance to local school districts, to uphold state standards and leverage numerous benefits to the public/taxpayers. State agencies are uniquely positioned to play a technical assistance role to bring this value to all school districts. States should regularly collect information on the conditions and qualities of all K-12 school facilities and grounds in the state. By collecting up-to-date information on school facility conditions and qualities, state leaders and the public have a way to know whether or not the various standards are having the desired effect(s). 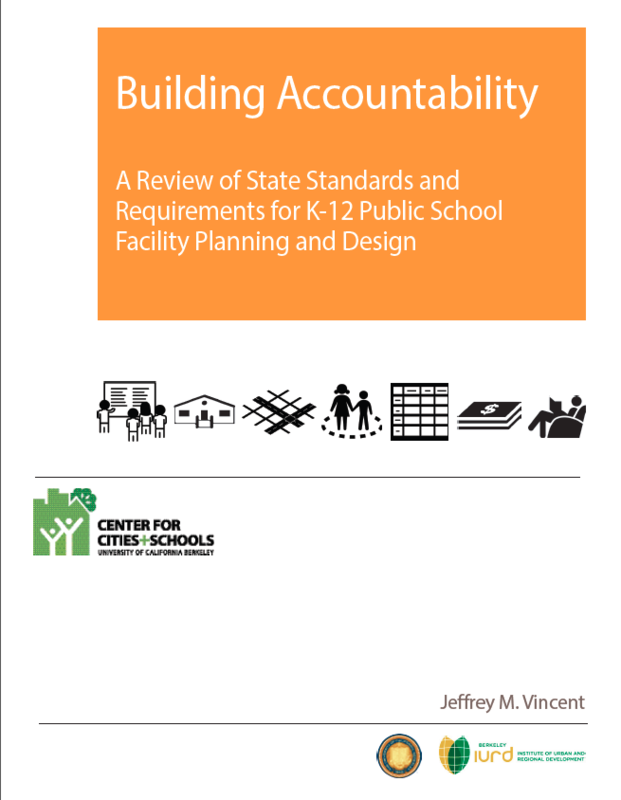 States should conduct a public review and update of all K-12 facility standards every few years. State standards, guidelines and regulations for school facilities should be periodically reviewed and updated to reflect evolving industry best practice, new research findings, alignment to broader state infrastructure goals, and changing educational program emphases. States should ensure there is adequate and equitable school facility spending to uphold standards. California policymakers can use state school facility funding and the standards in tandem to ensure that all children attend facilities that are safe, healthy, educational suitable and affordable to taxpayers.